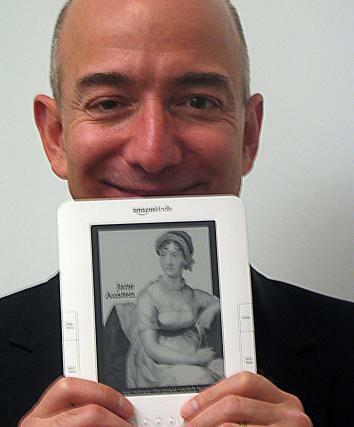 Amazon.com versus Amazon Bookstore: The 1999 legal tussle was rancorous. Brad Stone’s brand-new history of Amazon, The Everything Store, chronicles the company’s breakthroughs and missteps and paints a fascinating, sometimes terrifying portrait of its messianic, profit-eschewing founder, Jeff Bezos. He walked into the garage one morning and informed his colleagues of the company’s new name. He gave the impression that he didn’t care to hear anyone’s opinion on it. … “This is not only the largest river in the world, it’s many times larger than the next biggest river. It blows all other rivers away,” Bezos said. At the time of the settlement, both parties declined to discuss financial details, but in 2008, when the collective sold the store to customer Ruta Skujins (who then had to change the name, according to the terms of the legal agreement), Wieser acknowledged that the collective had received a small cash settlement from Amazon.com that helped “keep the business going a little longer.” In 2012, Skujins’ store, now known as True Colors, went the way of so many independent bookstores and closed its doors.